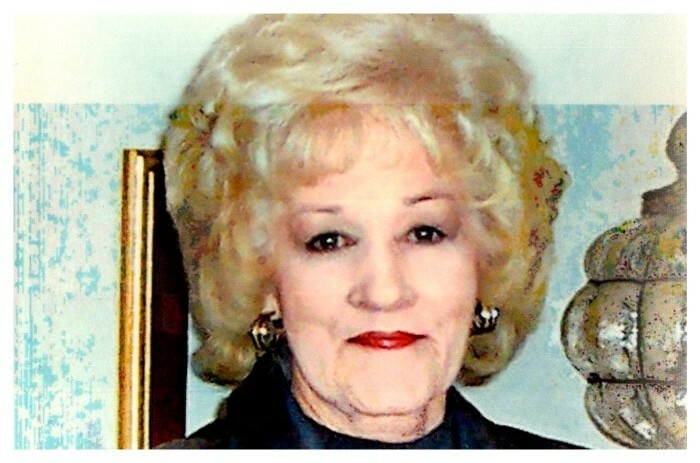 Jo Beth (Taylor) Gamett, 80, a longtime resident of Farmington, NM, passed away Tuesday, February 5, 2019. She passed peacefully in her home with brothers, children, grandchildren and best friend Gene Higginson gathered by her side. We welcomed her to Glory and claimed healing for her. Born in 1938 in Clovis, NM to Joe Etheridge Taylor and Zelma Corine (Davis) Taylor, she was the eldest of four children. She grew up on her family’s large dairy farm in Elida, NM surrounded by a rich family life that included her three brothers, grandparents, aunts, uncles, and cousins who remained close throughout the years. Christian faith was an important part of their family life and they were members of the United Methodist Church. Her parents taught her, through example, Christian Values, the Study of Scripture and a Strong Work Ethic. After high school graduation in 1956, Jo married Lloyd Thompson in 1957. Lloyd was in the Navy and was stationed in El Centro, CA and Pensacola, FL. After the Navy they lived in Austin, TX, Carlsbad, NM and then settled in Snowflake, AZ. During their marriage they were blessed with five children. Family continued to be the primary emphasis throughout her life. After her divorce Jo met Harold Gamett and they were married in August 1975 in Snowflake, AZ. They combined their families beautifully. Their focus was on building a solid foundation for their large family of ten children ranging in age from 8 to 19. After moving to Farmington in 1976 they built a wonderful family home on the LaPlata Highway. This home continued to be a gathering place for their children and their families for more than 40 years. Camping, traveling, and mountain trips were among some of their favorite activities. Together they were a team and taught the importance of love and family to their children and grandchildren. After being widowed in 1999 she married Chuck Tillotson in 2001. She and Chuck traveled for his work as well as for leisure. They traveled in an RV and explored the communities where they stayed. She worked in the office, for the same company as Chuck, and later became Chuck’s “Swamper” which included her walking throughout the day alongside the dozer Chuck operated. Chuck passed away in 2006. Jo always enjoyed exploring new places and travel continued to be a favorite of hers. She was able to travel and visit many areas of the US and Canada as well as Israel, Egypt, the Caribbean Islands, and Paris. For more than ten years Jo has been best friend and travel partner of Gene Higginson. They are both members of the 3 Rivers Sams, a Good Sam Club, where she was Vice President for more than two years. Jo and Gene enjoyed socializing, camping, and cards with their club members who are their good friends as well. They also enjoyed time at the Bonnie Dallas Senior Center where they met. Jo is preceded in death by her parents, her husband Harold Gamett (1999), Granddaughter Jamie Amos (2016), Daughter-in-Law Becky (Grimes) Thompson (2017). Jo is survived by Gene Higginson. Her brothers: David (Jacque) Taylor, Flora Vista, NM; Richard (Susan) Taylor, Tucumcari, NM; and Kerney (Mattie) Taylor of Peoria, AZ. Her Ten Children: Craig (Drenda) Gamett, Bloomfield, NM; Steven Thompson, Farmington, NM; Vicki (Jon) Ives, Farmington, NM; Harold (Amy) Gamett Jr, Ririe, ID; Sherrie Holland, McKinney, TX; Sheryl (Gary) Erickson, Maricopa, AZ; Jan (Robbie) Meek, Midland, TX; Debbie (Glenn) Gent, Farmington, NM; Caryn (Leroy) Elmore, Edgewood, NM; and Trisha Makousky, Golden, CO. Her 34 Grandchildren, 49 Great-Grandchildren, 5 Great-Great-Grand Children and numerous nieces and nephews. Jo lived a full richly blessed life and was always an example of love and elegance. If you would like to make a charitable donation in leu of flowers, please donate to your favorite charity in Jo’s name.